 For Virgo, year 2018 will be marked by outstanding achievements. Grab every opportunity that comes your way, because many of them promise to increase your financial inflow. Your social life will be very active; the connections you make and the conversations you have will have a highly positive influence on your public image and status. On the downside, it will interfere with your focus on education and/or work. Fortunately, you know how to work hard to achieve your goals. If you have kids, stay on the lookout for the typical health issues. In the later months of the year, you may be required to take a business trip abroad. Try not to lose the emotional connection with your family, and you are sure to have a very positive, fruitful year.